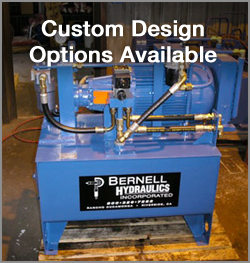 Bernell Hydraulics has been serving southern California’s hydraulic parts and service needs since 1977. We can provide expert assistance with any kind of hydraulic equipment repair in Colton CA you may need. When your hydraulic equipment fails, it can cost you a lot of time, money, and frustration and even result in projects getting seriously delayed. Fortunately, you can turn to us for 24 hour onsite hydraulic equipment repair. All you have to do is dial our phone number and we’ll dispatch a technician just as soon as we can. If you know what’s wrong with your equipment, we can send the necessary replacement part out with the tech to speed the repair process even further. Bernell Hydraulics carries tons of hydraulic parts for all kinds of different hydraulic systems, making us a great resource for people who like to repair their own hydraulic equipment. You can choose to pick up your parts at one of our stores, have them mailed to you, or even have them delivered straight to your work site. We’re always happy to provide hydraulic equipment repair Colton CA, but honestly we’d prefer that our customers never experience the need for emergency repair in the first place. By investing in preventative maintenance, you can not only extend the life of your parts but also get advance notice regarding any parts that may be worn or at risk of failing. We handle all your maintenance tasks for you, including fluid top offs, fluid flushes, filter cleanings or replacements, and hose inspections. Stay ahead of the game with our preventative maintenance!